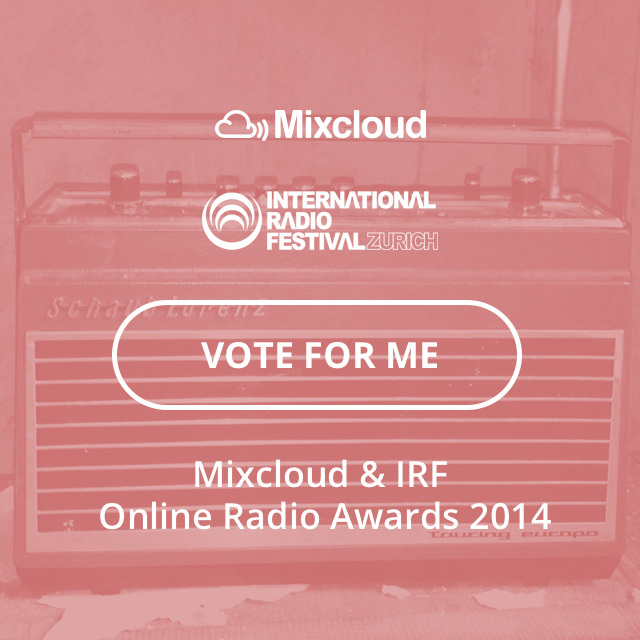 Tips Series: Mixcloud Online Radio Awards 2014 – The global community for audio culture. If you spend days on-end creating content for your radio show or station then you want to get your voice heard in the best possible way. Follow these tips to boost your chances of winning the coveted ‘Best Online Radio Show‘ or ‘Best Online Radio Station‘ 2014. It seems so easy and it really is. Social Media can have a tremendous effect on getting your Show or Station voted by a lot of people. Just follow these steps and you’re away! Use the ‘Vote For Me‘ image above – people like images, they’re plain, simple and to-the-point. Use the hashtag #MixcloudAwards – more people than you think check the hashtag over social media so you’ve got more of a chance to be seen! Use as many Social Media sites as possible to spread the word – Stumbleupon, Tumblr, Instagram, Google + and Pinterest. Remember, you can still vote for your favourite Online Radio Show or Station HERE. For more information visit our awards page HERE. Vote 4 Watch More TV Radio!